My daughter is going off to her first ever camp and we decided to give her a present - a new watch to replace her old Casio MQ 24. 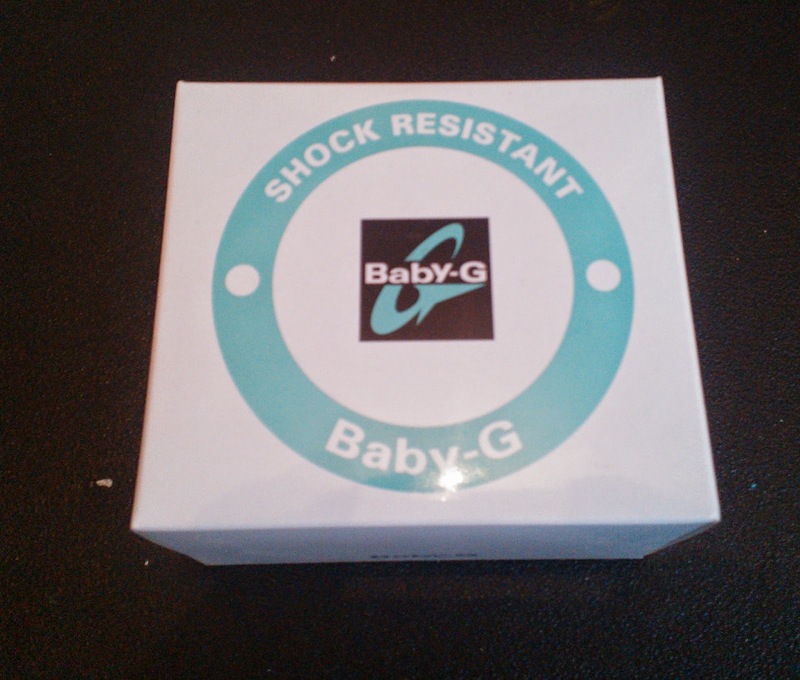 The Baby G is like the G Shock but targeted at the female segment. This is the first time I have actually come across an analogue model.It came in a nice tin box. 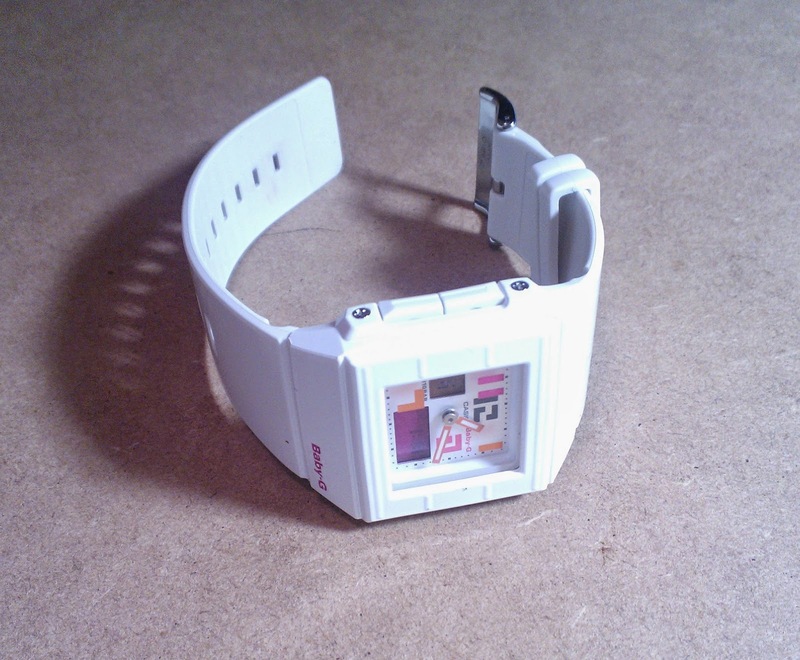 It is white in colour, with a square case and resin straps. 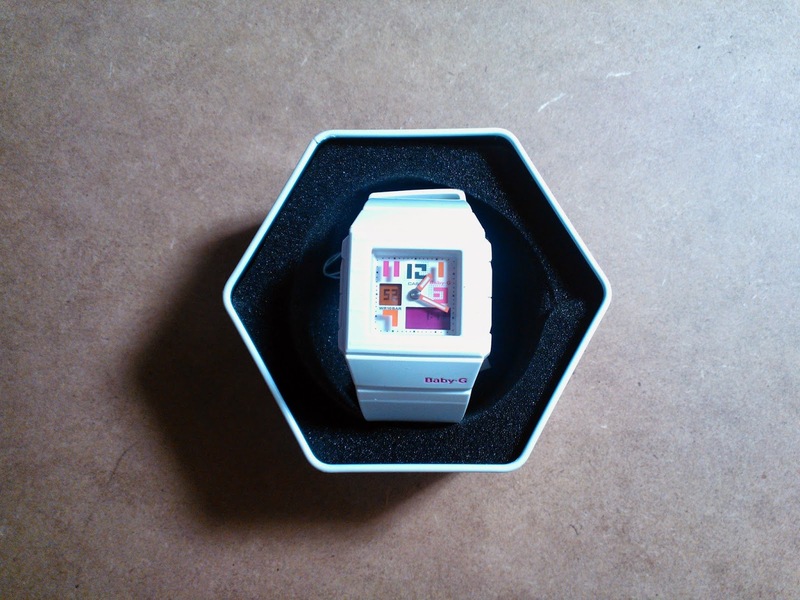 The watch is shock and water resistant (up to 100m). The small window at the 9 position shows the seconds while the other window at the bottom shows the day and date. 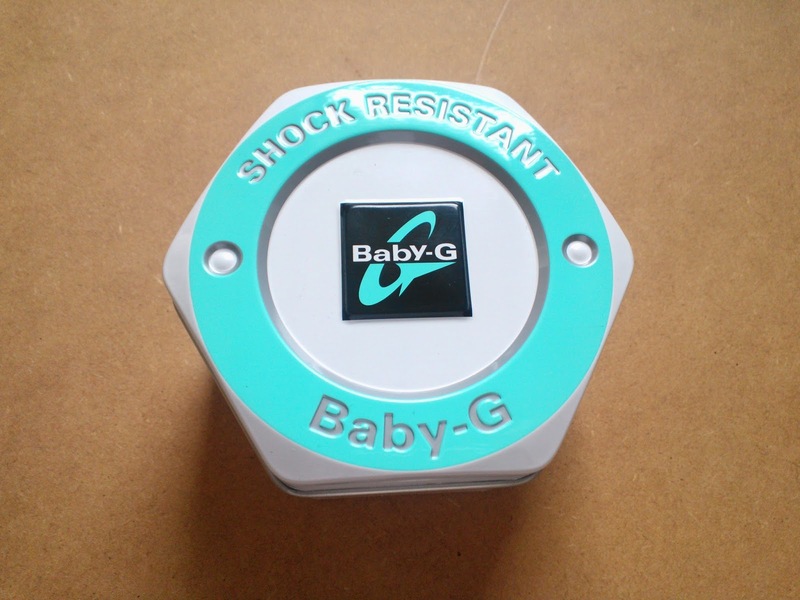 You also use it to set them time, alarms and also to use the chronograph functions. There are four buttons: the left bottom one is to change the modes while the one on the left top is used to adjust. The light button is the one on the top right while the bottom right button is used to change between the time and day/ date display. The arms of the watch changes automatically once you set the time zone and the time. My daughter was of course delighted and I let her do the unboxing this time and her first video review.